I'm already a leader at my company, why should I invest in Professional Leadership Development? 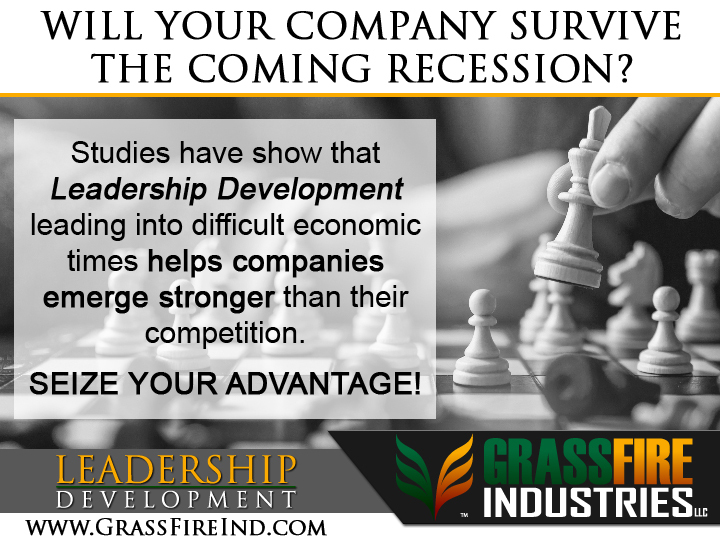 Develop strategies that give your business a competitive edge. Figure out how your company can become more flexible, enabling you to prepare for and quickly adapt to changes in the marketplace. Re-examine your business’ priorities, allowing you to pursue new opportunities and drop any efforts that aren’t worth the time or money. More effectively manage your finances and growing profits, improving your business’ financial performance. Implement sales and marketing strategies that help you carve out a niche in the marketplace. Attract, motivate and retain employees who will be deeply engaged in supporting your goals and vision. I'm not really in a leadership position at work and I don't plan to be. Can Leadership Development still work for me? Is there a difference between a "Leadership Practitioner" and a "Leadership Coach"? Absolutely! There are actually some substantial differences between the two. Knowing those differences will substantially impact your expectations in regard to the outcome of the programs you choose for yourself or organization. For a more detailed overview regarding these differences, check out the following page: CLICK HERE! Does GrassFire Work With Groups? We sure do! In fact, we can even provide our Leadership Excellence program to your group. While the benefits of our one-on-one programs are not there in a group setting, we are still able provide the much needed impact that GrassFire is known for because of our unique approach. We work with all sorts of groups and have a comfortable classroom available to accommodate. Can you customize a program for me? Absolutely! That’s the best part! We can customize your program to fit your needs and industry. If it’s done correctly! There is a rumor going around the internet that some Leadership Development programs fall short of their intended purpose or promises. Unfortunately, in some cases, that’s true! This is often because those teaching the course are not really proficient in Leadership Development. Sometimes it’s simply because the program is not designed correctly. So to answer the question more directly: “yes”, it works when it’s done right and “no”, it will not work when it’s done wrong or done by the wrong person. Of course… that’s not a problem here at GrassFire. Our practitioners are highly qualified to teach and coach leadership. CLICK HERE to learn more about what makes GrassFire so different. What is "Big Picture" Training? We don’t just teach you how to be a better leader; we focus on the whole person. We help expand perspectives to see the bigger picture and help leaders really see and hear the people they lead. What if I'm new to Leadership? GrassFire programs are not just for current leaders; it’s also for those just starting out in a leadership position, for those wanting to become leaders and for those seeking a way to simply lead their lives better! Yes and No. While we do touch on business processes and discuss various elements of business, we approach this as more of a Leadership Education. We teach you how to be a better leader in both your personal and professional life. However, when the skills you learn are put into practice, the result is usually better business outcomes. We have the ability to service just about any industry there is. Our position is that there really is no difference between life and leadership so our programs are pretty flexible. This is also why we have so many come to us for Personal Leadership Development. The need for leadership is not industry specific so that’s why we customize your program to fit your needs and industry. What's in the "Mastery" Class? Great question! Some students want to deep-dive into even more ways they can use the leadership skills they have learned. We created the “Mastery” class to do just that. And Much More! It’s all about learning the many ways our leadership skills can be applied in our everyday lives. Yup! Free Consultations: Not everyone will be a fit for these programs. A brief 15 to 30 minute consultation will let us know if you are. If by chance you are not a perfect fit, we are prepared to refer you to other programs that might be. Discounts can be arranged under certain circumstances. Talk with one of us about it. We hope to have a scholarship program solidified in the coming year. What if I can't come to Wichita? That’s not a problem! You can get Leadership Development and Leadership Coaching Online. We can utilize technology such as Skype or Google Hangouts for face-to-face interactions over the web, as well as phone for support sessions and email for continued communication. We need someone that can come to us! That’s not a problem at all. In-office Leadership Development and Leadership Coaching takes place in our office in Wichita, Kansas. However, some organizations and individuals would like for our practitioners to come to them. Just let us know what you need and where you need it and we’ll help figure out the details to make it work for you.